The Defense Advanced Research Projects Agency has ended phase one of field-testing of its Content-Based Mobile Edge Networking program, kicking off the next stage of the project aimed to mature the technology. CBMEN was created for battlefield applications and works to make squad members’ mobile devices function as portable servers that troops use to provide command with updates on the ground as they happen, DARPA said Aug. 21. “With 64 gigabytes of storage in a single smartphone, a squad of nine troops could have more than half a terabyte of cloud storage,” said Keith Gremban, DARPA program manager. In the recent demonstration at Fort A.P. Hill, Va., two tactical teams communicated with each other and apprehend a common target using CBMEN software installed on their smartphones and radios. “CBMEN may not sound revolutionary because people take server access for granted when cell towers, fiber-optic connections and 4G/LTE networks are so widely available worldwide,” he noted. 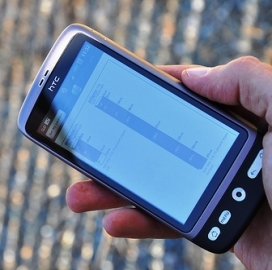 According to DARPA, the field test demonstrated the technology works but also identified areas that needed work such as making the mobile cloud more secure and information exchange more agile. I suggest that the next phase should include geospatial routing capability. It has significant military field applications. Email for the thesis and supporting evidence.